Golden Globe Award winner and Academy Award nominee Angela Bassett will make her directorial debut with the Lifetime Original Movie Whitney Houston. Scheduled for a 2015 world premiere, Whitney Houston chronicles the headline-making relationship between the iconic singer, actress, producer and model, and singer, songwriter Bobby Brown — from the time they first met at the very height of their celebrity, to their courtship and tumultuous marriage. Throughout it all, difficulties followed the superstar couple while they dealt with the overwhelming rewards and consequences of the fame and fortune created by Whitney’s meteoric rise that would soon overshadow them both. 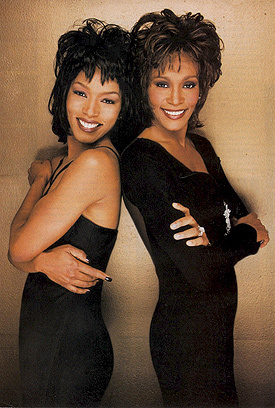 Produced by The Sanitsky Company, Whitney Houston will be executive produced by Larry Sanitsky (Betty & Coretta). Shem Bitterman (Betty & Coretta) wrote the film’s script. Last year, Bassett and Lifetime worked together on the critically-acclaimed original movie Betty & Coretta. Starring Bassett and Mary J. Blige, the Humanitas Prize finalist tells the dual real-life stories of Coretta Scott King (Bassett) and Dr. Betty Shabazz (Blige), wives of Dr. Martin Luther King (Malik Yoba) and Malcolm X (Lindsay Owen Pierre), who formed an unbreakable life-long bond between each other after their husbands’ tragic assassinations. Bassett’s performance received a 2014 SAG Award nomination for Outstanding Performance by a Female Actor in a Television Movie or Miniseries, as well as an NAACP Image Award nod for Outstanding Actress in a Television Movie, Mini-Series or Dramatic Special. The film also generated two additional Image Award nominations, including Outstanding Television Movie, Mini-Series or Dramatic Special and Yoba for Outstanding Actor in a Television Movie, Mini-Series or Dramatic Special.